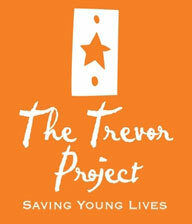 Trevor Lifeguard Workshop is a 1-hour interactive workshop for high school and college-age youth that describes the mental health, suicide, and self-care resources provided by The Trevor Project. There are two versions of the workshop: one for lesbian, gay, bisexual, transgender, and questioning (LGBTQ) youth and one for general youth audiences. Workshops are given by volunteer facilitators who have completed the 2-day Trevor Lifeguard Workshop training for trainers. The workshop guides youth and young adults in a conversation about how to recognize the warning signs of suicide and how to respond in a way that will keep their peers safe. It is available at no charge from The Trevor Project. If you are outside these areas, please consider ordering a Survival Kit so you can facilitate your own Lifeguard Workshop. Quarterly webinar trainings on how to best use the Survival Kit are offered, these trainings are free and available to everyone.